If you feel called and as guided by your Highest Self, please offer your prayers to the communities of British Columbia, which are currently experiencing the effects of wildfires. (The suggested prayer below can be applied to any region, at any time.) Of course, you may add your own heart-felt intentions. Most importantly, stay out of fear and align with your Highest God-Self for upholding the Highest possible outcome. Use your 12D Shield daily and diligently. Begin by entering into a calm and meditative state, setting your sacred space, and using the 12D Shielding Technique. Beloved God, please open all channels of Light and clear all light fibers to be fully resonant with the Eternal Living Light Code. 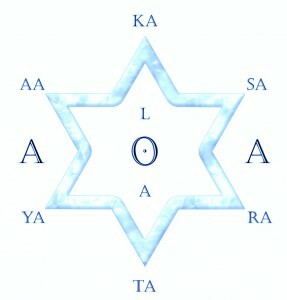 I call upon the Beloved Mother/Father God and Holy Christos-Sophia in Holy Trinity and Perfect Harmony, my 12th-Dimensional Avatar God-Self, the Krystal Star Intelligence, and from across the Multi-verses, all the Cosmic Intelligences and Living Light Families of 100% Light only, serving the Law of One and Unity Consciousness, to join with me now, in the highest capacity of exchange of God’s infinite Light, Love, Wisdom and Power in Divine right order and harmony. As a representative of all human beings who hold a heart-centered desire for liberation, safety and peace for all, I offer myself in service as a clear vessel of God’s Light and Love, as the embodiment of All That Is Divine and in alignment with the natural laws of the Universe. In unity, we lovingly command to invoke your blessings of 12-dimensional frequencies and your direct intervention, that we may open to the highest possibilities at this timing. We request now the assistance of the Devic and Earth communities to co-create in addressing the environmental emergency precipitated by our actions on the earth, and the fires both man-made and nature-made. Please direct your assistance to British Columbia, Canada where the wildfires are currently burning. We dedicate this prayer to all sentient beings living in this area and all areas currently being impacted by wildfires. We acknowledge the life-force of the Fires, and ask the Fires to contain yourselves, to live out your individual destinies and to consume only what you need to accomplish your work. We thank you for the transformational qualities you bring. Fire Spirits, I love you, I am sorry, please forgive me, thank you. We lovingly command the Earth Element to ‘eat’ the fires, using the intense energies of the fires to fructify, fertilize, and strengthen the earth in each affected area. We give thanks for the Earth Elementals that serve the One God in utilizing your mastery to accomplish this in a way that brings beauty back to all. Earth Spirits, I love you, I am sorry, please forgive me, thank you. We lovingly command the Spirit of the Wind and Atmospheric Devas to calm the winds in the areas of the fires, or to assist in containing the fires instead of advancing them into more territory. Please redirect your winds to clean the air in communities surrounded by the fires and contending with thick smoke. Help us to breathe your clear air again. Thank you for participating with us and lending us your mastery in this area. Wind Spirits, I love you, I am sorry, please forgive me, thank you. We lovingly command the Water Spirits in each area to bring water up from beneath the ground to assist in humidifying the affected areas, and to magnetize and attract the necessary water, with no harm to neighboring areas, to assist in this project. Please bring rain to the areas being effected now, to help extinguish the harmful fires. Thank you Water Elementals for your help. We give gratitude for the life-giving and preserving quality of water in the areas being effected and in our personal lives as well. Water Spirits, I love you, I am sorry, please forgive me, thank you. We command the immediate neutralization of any and all inorganic, human-generated controls/interferences in the creation/continuation of these wildfires. For the sake of our collective freedom and sovereignty, we lovingly command to collapse, cancel and terminate all timelines and trigger events of armageddon, genocide, enslavement, cataclysm and pestilence, and free humanity through the ‘resignation of programming’. Cleanse and release all ancestral and miasmatic record, and all cellular memories through the human holographic and planetary interface records and our histories of origin. Beloveds, reinstate the Divine blueprint record to all of humanity, on all levels of existence, and align us with the truth of our Christ Consciousness intelligence and our infinite nature. We give thanks for the restoration of the balance of Nature in all of the affected areas. Restore all possibilities for peace and truth. Beloveds, for the thousands displaced by the fires, and having had to flee their homes, for those souls who are living in fear, pain, discomfort, uncertainty, and vulnerability, embrace them with the compassion of the Divine Mother. May her grace surround them and protect them from trauma, injury, ill-health and any injustice. In the highest and best possible way, provide them with food, water, shelter, medical attention and the fulfillment of all their basic human needs, always. May they find support and comfort in the surrounding neighbourhoods welcoming the evacuees. May all animal companions be welcomed with their human companions. May they all be re-anchored in a sense of safety in their temporary surroundings and within. Whenever possible, restore inner peace in their hearts, and restore their bodies, minds, emotions and souls with that which is life-affirming. When hope is elusive, re-ignite their God-spark as their Highest Self will allow and as God would have it be, that they may always know they are loved, and are love. For those who have lost their homes, may blessings present themselves with grace and take them to a new home, trusting in the Divine unfolding. Beloveds, we ask for your prayers of protection for all communities surrounded by or near the fires. May all individuals and animals be alert to any danger, and be fully supported at any time they may need to evacuate. Beloveds, we also lovingly command your prayers of protection and support for all the firefighters, emergency personnel and volunteers who are involved in fighting the fires, assisting in evacuations, rescuing animals left behind, or offering safety and sustenance to those in need. May they be kept safe and healthy at all times. Support their loved ones to trust in your love and Divine grace. May all family members, including their animal companions be united. We ask for the Devic Transition teams serving the One to assist with all the human souls, animals, trees, plants and all nature kingdoms who have lost their lives in the fires. We offer prayers for them all. Mother Earth bless, heal and rebirth them when the time is right. We open the Divine Mother’s Aqua Portal now for the transition of all these beings. Please welcome and assist them all through all levels of transit to their Divine home in the Light of God. Beloveds thank you. we command this lovingly with our whole hearts, fully, completely, thoroughly, totally and permanently and command to anchor, lock and seal this in wholeness and with All That Is Unity. Thank you. It is done. It is done. It is done. Written by (Amâeil) Melinda Urban 2015. Adapted from Gwen’s loving prayer and www.energeticsynthesis.com with gratitude.